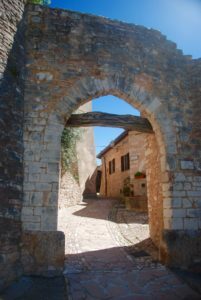 Collepino, whose name means Castle of Wolves, is a fortified village dating back to the Middle Ages. Entirely built using pink and white rock, it is situated 600 metres up Mount Subasio. Carefully restored by its residents, it features ancient walls and four of its seven original towers. Located in the nature park of Mount Subasio, it offers a nice view of the Umbrian valley and is a good starting point for walks and hikes. By following path #352 (marked in red and white) you can climb to the top, passing through San Silvestro Abbey. Another option is to take the Roman Acqueduct path down to Spello. Situated in Collepino, it offers modern apartments, with cooking facilities and free Wi-Fi. Main features are: air condition, beautiful view on the mountains, a lounge and fireplace. Pekko is a country house, 2 km. away from Collepino on the main road to Spello. Every room has independent access and a beuatiful view on the valley: you can see Foligno, Trevi, Montefalco, Spoleto and Bevagna. The house is an ecobuilding, offering free WiFi and a garden. Free private parking is available on site. The accommodation has a flat-screen TV. There is a private bathroom with a shower in each unit. Towels are provided. Property highlights also includes a sun terrace. Perugia is 28 km from Pekko. 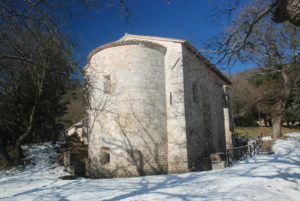 The nearest airport is Perugia San Francesco d’Assisi Airport, 19 km from the property.